I’ve just returned from a whistle stop tour of India: Delhi, Agra and the beautiful of Rajasthan. A visit to the market in Jaipur was such a highlight; Indian ladies’ dress in an array of beautiful colours – reds, pinks, oranges, yellows.. it’s a riot of colour that hits the senses along with all the noise, smell and bustle of the market. 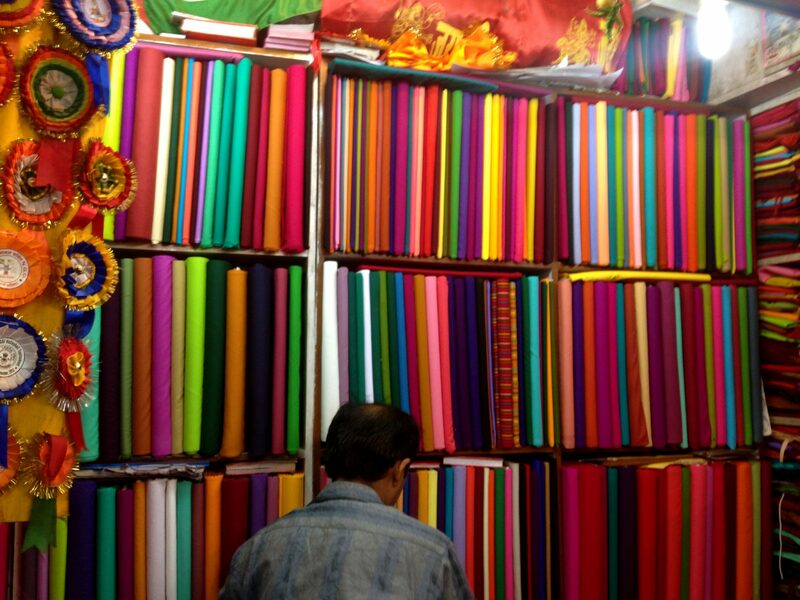 A fabric stall selling cottons for making clothes making – this is just a small section, I counted 42 different pinks…. 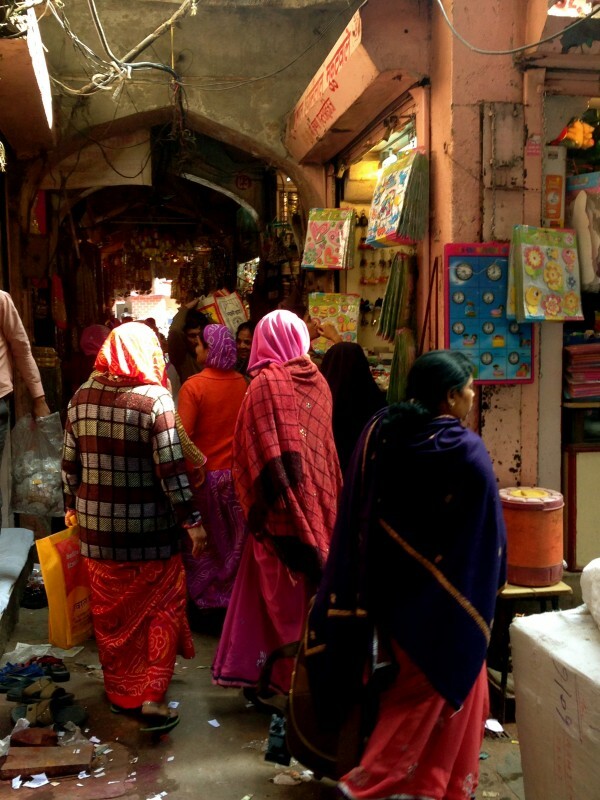 Indian ladies shopping in the narrow crowded market street. 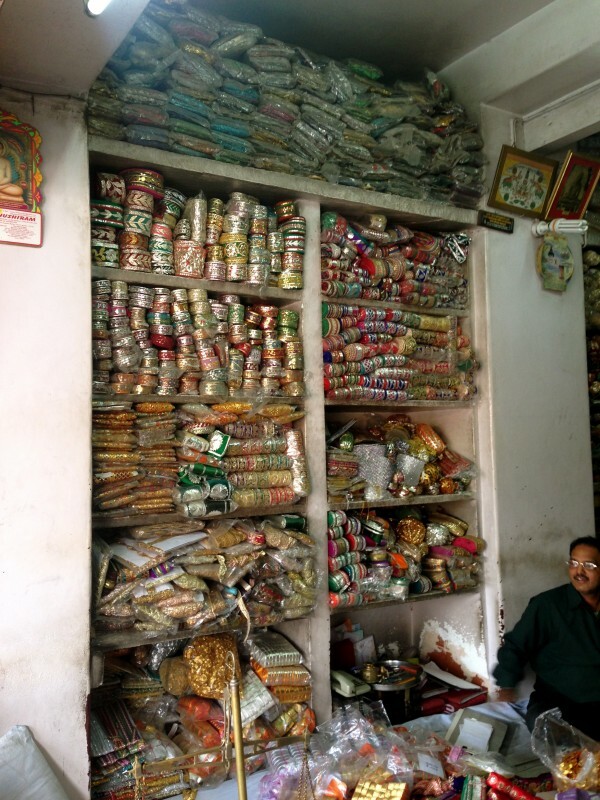 One of the many trimming stalls with thousands of braids, sequins and tassels for sari’s. 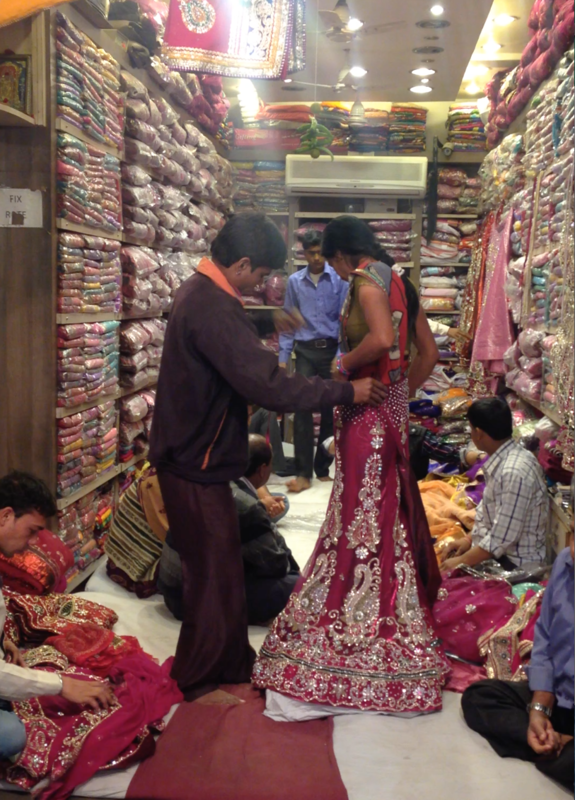 A young girl trying on a wedding skirt! 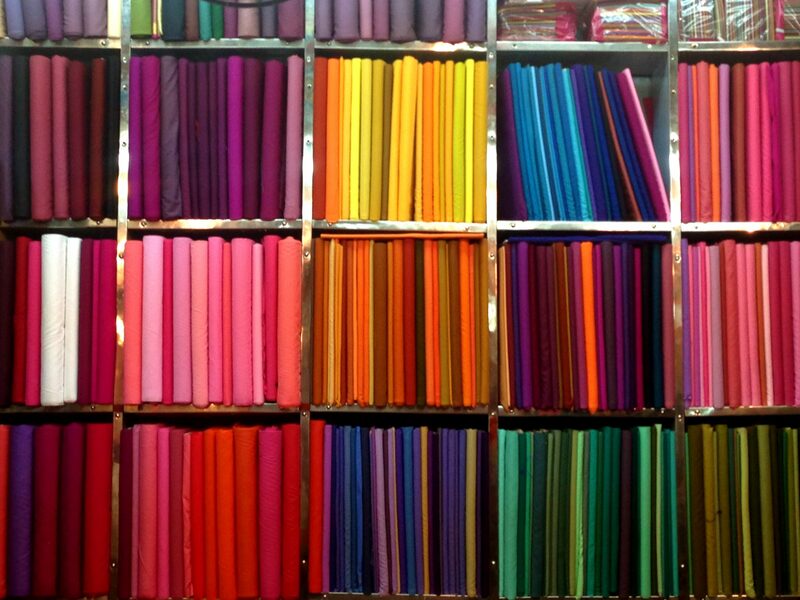 More colour inspiration – love the oranges, ochres and aubergines. So good to see a strong use of colour, we are seeing more colours being used in interiors nowadays so I will definitely look to incorporate some of the tones I saw used in India. Teal stood out as a popular colour along with a wide array of pinks/oranges and reds. I can’t wait to get started!